being little • bristol uk fashion & lifestyle blog. : favourite knits. Today seems a very appropriate day to be writing about wooly jumpers and cardigans! It's cold, wet and downright disgusting outside. I'm glad Elliott is here, so we can cosy up when we get inside. Above is a pile of my favourite knits. Top - bottom: jazzy cardigan, hand-me-down cropped jumper, autumnal patterned jumper, classic Breton jumper, colourful cropped jumper, thick old man cardigan. 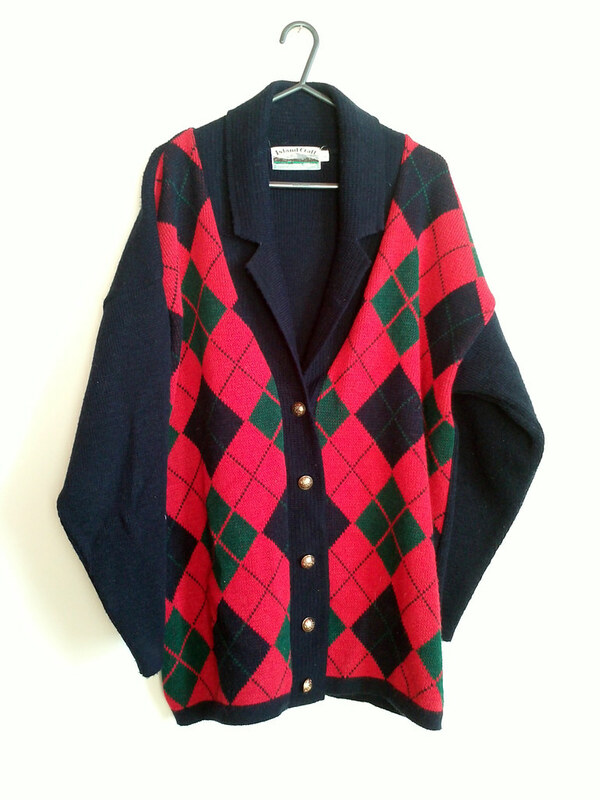 To me, below is the perfect Christmas cardigan. Click the photo below to buy it! It's so snuggly! 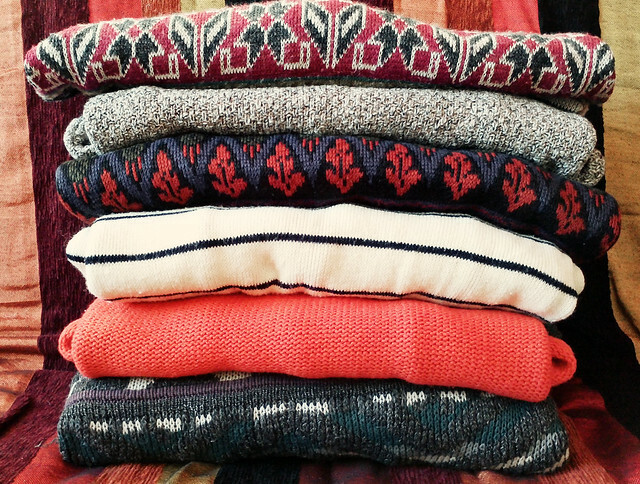 I love knits, and I have too many cardigans and jumpers! Actually, you can never have enough! Now I feel like organizing all of my knitwear! I wish where I live had proper winters where you could actually wear a jumper! Stupid hot weather! I want to wear a jumper now please.